You don’t have to directly plagiarize someone else’s work word-for-word to infringe on their copyright. For example, if you reword a couple sentences from someone else’s content and don’t attribute it to the original author, you’re plagiarizing. Even if you do attribute the content, it may still be infringement if it too closely follows the original content. So, you have to be careful how you choose to use someone else’s ideas. When in doubt, add a citation and edit your work to make sure it’s original. If you take the heart or crux from another story and add it to your content, you may be infringing on someone else’s copyright. This is true, even if you add a citation to your work. Similarly, if you have too many citations in your content and not enough original work, then you’re also at risk of copyright infringement. It can be hard to tell when you’ve crossed the line and used too much from your sources. There is no rule of thumb to determine how many citations are too many, so it’s best to consult with a copyright expert when you’re unsure. If you cause economic losses to a copyright holder as a result of your infringement, you’re entering dangerous territory. According to Purdue University, you may end-up paying monetary fines ranging from $200 to $150,000, depending on the scope of your infringement. You can even end-up serving jail time. To avoid breaking the law, it’s a good idea to consult with an experienced copyright lawyer regarding the scope of your work, especially if you’re new to web writing. 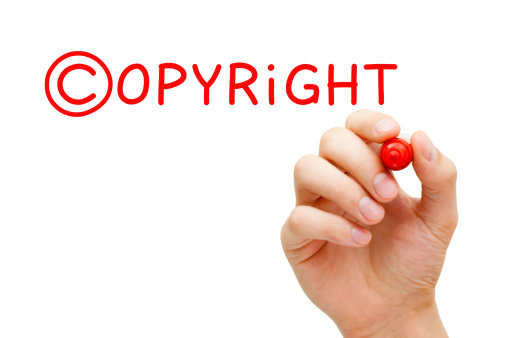 You cannot rely on copyrighting agencies to help you beyond providing plagiarism checking software. It’s your responsibility as a professional web writer to avoid copyright infringement. Plagiarism software won’t do everything for you. Review every piece you write carefully to mitigate the risk you’ve infringed on someone else’s copyright. Joseph D is a freelance writer with corporate accounting and quality assurance experience. His work has been featured on: Chron.com, AZ Central Small Business, TheNest.com, Synonym.com Money, Zacks.com, eHow Business & Personal Finance, Opposing Views Money, Yahoo Finance and Yahoo News.